Hot Celebrity Gossip: Anak Michael Jackson xCukup Duit Belanja? Anak Michael Jackson xCukup Duit Belanja? Michael Jackson’s three children have had their monthly allowance upped because $60,000 isn’t enough for their lifestyle, say court documents. Michael Jackson’s children have had their monthly allowance increased. 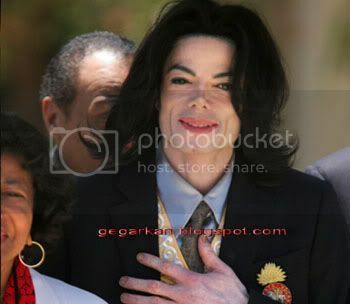 In a hearing on Monday (11.01.10), lawyers for the late singer’s estate appealed to raise the sum paid to the late ‘Thriller’ star’s mother Katherine – who was awarded guardianship of his children in July last year, a month after the King of Pop’s death from acute Propofol intoxication – because the $60,000 she was getting to take care of Prince Michael, 12, Paris, 11, and seven-year-old Prince Michael II, who is known as Blanket, isn’t enough. According to RadarOnline.com, Judge Mitchell Beckloff was asked to increase “the family allowance to the children”, with attorneys submitting a figure for the judge to consider. It has not yet been disclosed in court what the additional money would be used for and their attorneys have refused to reveal why the money was needed. Meanwhile, It has also been claimed that the children didn’t spend Christmas with their grandmother, because Katherine is a Jehovah’s Witness and doesn’t celebrate the holiday. Instead, the youngsters spent time with family friends arranged by their nanny Grace Rwaramba and were said to be “well adjusted”. A source said: “They were extremely happy and they had a great time. It wasn’t a big deal Christmas with elaborate gifts. It was very humble.